Today's world is busier than ever and we have numerous demands on our time and we often sacrifice sleep in order to fit everything in! But it is important not to let these demands on our attention get in the way of our sleep as it is vital to our wellbeing. Sleep can be affected by a number of things including caffeine, stress, alcohol and technology. It is recommended not to drink too much caffeine or alchohol prior to bedtime and to have an "electronic free hour" before lights out to enable a better sleep pattern. 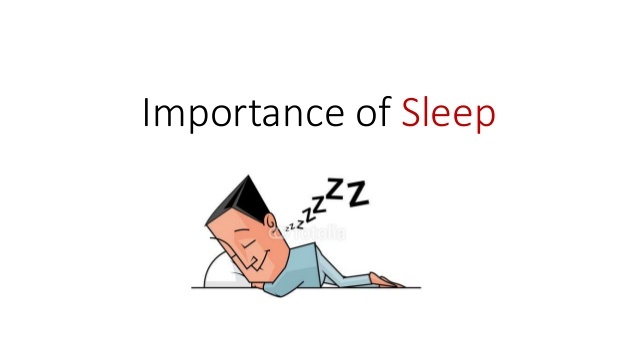 Sleep keeps your your heart healthy! Lack of sleep has been linked to issues with blood pressure and cholesterol which can be also be linked to heart disease and strokes. Lack of sleep can make your body go into a state of stress. This makes the body go on high alert which can cause high blood pressure. If you do find you tend to get stressed and find it difficult to get to sleep then you may want to seek out some relaxation techniques to help. When you have too little sleep this can raise inflammation levels in the body. This can create a greater risk for heart conditions as well as other diseases such as diabetes. Sleep plays an important part in a process called "memory consolidation". Your body may be resting but the brain is still busy processing your day, linking events and memories. Deep sleep is really important to ensure that your brain can make these links and memories. Sleep helps the body repair itself. During sleep the body is hard at work repairing damage caused by stress, ultra violet rays and other harmful exposure. Oh and apparently napping makes you smarter!.. Napping during the day is great for overall health and has been found to make people more productive. People who nap at work (not at their desks!) have been shown to demonstrate lower levels of stress. Another excuse to sleep!